Alas, comedy fans hoping to score up some Jim Carrey-produced content on Showtime will now have to content themselves with a single TV series (the recent, Michel Gondry-helmed Kidding). Deadline reports that the Carrey-produced stand-up series I’m Dying Up Here has now died, everywhere, and regardless of location. 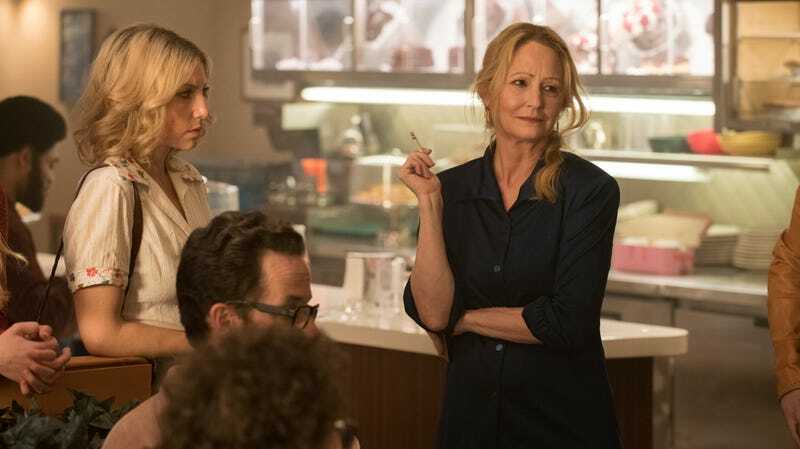 Set in ’70s L.A., the series starred Melissa Leo as a comedy club owner loosely based on real-world Comedy Store owner Mitzi Shore, watching over prospective stand-up stars played by folks like Ari Graynor, Clark Duke, and Michael Angarano. The series ran for two seasons on Showtime, and wrapped up its now-final season back in July. We bid farewell to it the year before, though, bemoaning a series that merged ambitious storytelling ideas with frequent missteps (like a decision to bring in actor Brandon Ford Green to play comedy legend Richard Pryor in an early episode).